These terms and conditions govern the sales contract between the buyer (hereafter called "Buyer") and Italian Sugar Art, Via Giordano Bruno, 4 - Milano - (MI) Italy, (hereafter referred to as "Seller"). 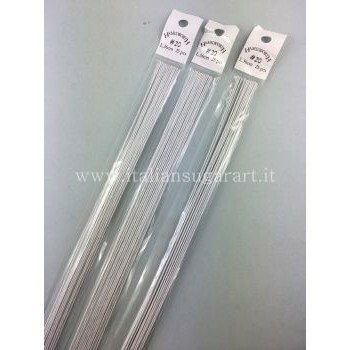 The following general conditions of sale govern all sales contracts between the Buyer and the Seller through the site www.italiansugarart.it. Every contract is subject to the general terms and conditions published on the site at the time when the contract is concluded. Any changes proposed by the Buyer are not going to be enforced as a change of the general conditions of sale unless the Seller expressly accepts them in writing. 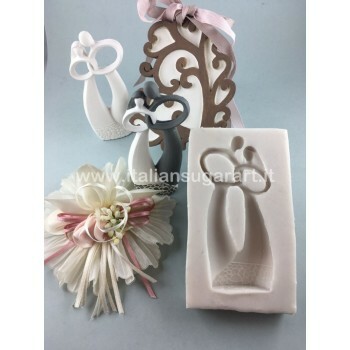 The shop www.italiansugarart.it is intended for the exclusive use of consumers; it is therefore reserved for retail sale. The digital invoice will be sent by e-mail to the address indicated. 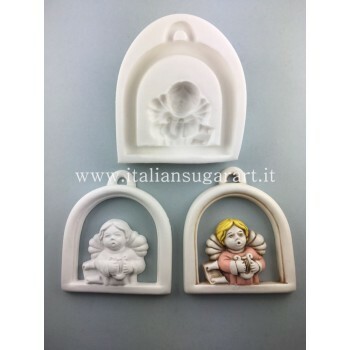 The offers on www.italiansugarart.it are not binding for the Seller and do not constitute a public offering, but simply "invitation ad offerendum". The purchase order has the force of a binding contract. The purchase order is accepted by the Seller through an order receipt sent via e-mail, which contains part of the conditions of sale (the product description, price, and terms of payment). The contract is concluded and enters into force when the Buyer receives the order receipt. The order and the order receipt are considered received when the parties to whom they are addressed can have access to the electronic messages. The Seller issues a legal warranty on the product accordingly to Directive 44/99 / EC to guarantee the conformity with the quality provided for in the contract of sale, in compliance with applicable regulations. The guarantee enables the Buyer, in case of evident defects, to the non-realization of the artefact in accordance with the product, to obtain the replacement, keeping in mind that the artefacts are handcrafted therefore not serial, this distinguishes them as unique. Every article is packed manually, before usage it is recommended to wash it thoroughly with warm water and mild soap to remove all traces of impurities, and to re-wash after use and store it in a sealed container. The artefact cannot be used with hot liquids and it shall not be put in the oven for baking or heated in any other way. If the Buyer is using non-edible pastes, the artefacts shall not be reused with edible pastes. The company refuses any liability for any improper use of the product due to incautiousness in following the instructions. Any possible claim shall carry the proof of purchase (tax document issued by the seller / payment). The claim must be promptly exercised by the Buyer and no later than 10 days after the date on which he detected the lack of conformity. During this period the product cannot be used. The claim will be submitted electronically to the Seller which will communicate immediately to the Buyer the ways to return the product. Accordingly to the requirements set out in Directive 85/374 / EEC as regards the damage caused by the product. The Seller, acting as the distributor, waives all responsibility by indicating the name of the manufacturer. Pursuant to and for the purposes of articles. 50 ff. of Leg. Sept. 6, 2005, n. 206 (Consumer Code) in regard to distance contracts, the Buyer is entitled to terminate this contract, without obligation to give reasons and to pay any penalty, within 10 working days from the day of receipt of leased asset itself. The customer, if it intends to exercise the right of withdrawal, will be required, at his own expense, to return the asset or assets covered by the contract, within 10 working days of receipt of the goods, taking care to deliver it at the offices above. The returned product must be intact and complete with all accessories, original package and the attached documents (invoice). The risks, which may arise during the transport for the return of the products, will be fully borne by the Buyer. Do not ship the returned items with the modality of cash on delivery, as they will be automatically rejected. The Seller reserves up to 30 days to be able to carry out checks on the integrity of the product made. The reimbursement will cover only the value of the item, with the exception of transport costs. Any dispute regarding the application, execution, interpretation and breach of this contract is subject to Italian law. Any dispute between the parties relating to this contract shall be dealt by the Court of Milan, except if more favourable regulations to the Purchaser are applicable. On February 15, 2016, it has been launched the European platform for the On-line Consumer Dispute Resolution (so called ODR platform). The ODR website address is the following: http://ec.europa.eu/consumers/odr/. On this site you can check the list of the Alternative Dispute Resolution bodies with their links and submitting your complain you can start the procedure for the On-line Dispute Resolution, in which you are involved. Payment will happen via PayPal®, directly from the account of the Buyer on PayPal® or with all types of credit cards and prepaid cards. In the case of payment by credit card, credit card details are sent to PayPal®, which deals with payments on behalf of the Seller. The credit card data sent during the ordering process, are protected against unauthorized access, by transferring encrypted data. 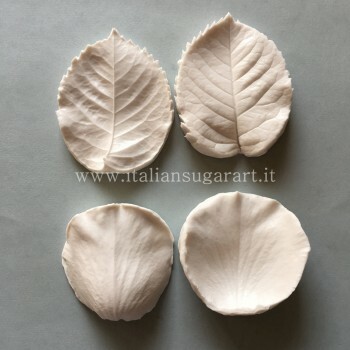 During the validation of the online payment, the user leaves our site www.italiansugarart.it and enters the protected site of PayPal®, both if you choose to pay by the account of the buyer, that if you chose to pay with any other card. Wait patiently for PayPal® to load the page (especially if you are using an I-pad) and then enter your payment information. At that point, you will receive an email from us as a confirmation that we thank you for the order, but if for any reason your payment via PayPal® does not go well, you will NOT be notified by e-mail from them that you have made the payment. So to be sure that the order is successful and that the payment was made, you will have receive an e-mail from us AND a confirmation e-mail from PayPal®. If one of the two emails does not arrive, you know that something did not go well. Any order with online payment that is suspended for any reason, will automatically be deleted after a couple of hours from our system. Once the order has not gone through for PayPal® payment, that order will automatically disappear from our E-commerce website therefore, you cannot take it back but you will have to place your order once again. The shipment will be made within 2 working days from the date of purchase, except in cases of payment by bank transfer (see section 6.2). These delivery times are not binding; however, the Seller will do everything in its power to respect them. For more information on shipments, see shipping page. We are not responsible for any customs fees or shipper’s fees you will incur or for delays because of customs. We list items and we cannot change the value of the product shipped. We have no way of knowing if you will incur a customs fee or not. If you do, we are not responsible and you will not be reimbursed. You must read the policies before ordering, you will not be refunded or reimbursed. We cannot track packages shipped internationally once it leave Italy, we are not responsible for packages shipped to international addresses. Once the parcel reaches the custom of your country, the parcel is under your responsibility and we are not responsible for lost, held, or damaged packages. Please make sure your address is correct before placing order we will not be responsible for incorrect addresses.